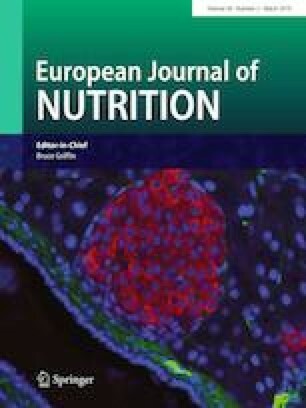 To map and grade all health outcomes associated with magnesium (Mg) intake and supplementation using an umbrella review. Umbrella review of systematic reviews with meta-analyses of observational studies and randomized controlled trials (RCTs) using placebo/no intervention as control group. We assessed meta-analyses of observational studies based on random-effect summary effect sizes and their p values, 95% prediction intervals, heterogeneity, small-study effects and excess significance. For meta-analyses of RCTs, outcomes with a random-effect p value < 0.005 and a high-GRADE assessment were classified as strong evidence. From 2048 abstracts, 16 meta-analyses and 55 independent outcomes were included (36 in RCTs and 19 in observational studies). In RCTs of Mg versus placebo/no active treatment, 12 over 36 outcomes reported significant results (p < 0.05). A strong evidence for decreased need for hospitalization in pregnancy and for decreased risk of frequency and intensity of migraine relapses in people with migraine was observed using the GRADE assessment. In observational studies, 9/19 outcomes were significant (p < 0.05). However, only one outcome presented highly suggestive evidence (lower incidence of type 2 diabetes in people with higher Mg intake at baseline) and one suggestive (lower incidence of stroke associated with higher Mg intake at baseline). Strong evidence according to the GRADE suggests that Mg supplementation can decrease the risk of hospitalization in pregnant women and reduce the intensity/frequency of migraine. Higher Mg intake is associated with a decreased risk of type 2 diabetes and stroke with highly suggestive and suggestive evidence, respectively, in observational studies. The online version of this article ( https://doi.org/10.1007/s00394-019-01905-w) contains supplementary material, which is available to authorized users. Dr Koyanagi’s work was supported by the Miguel Servet contract financed by the CP13/00150 and PI15/00862 projects, integrated into the National R + D + I and funded by the ISCIII—General Branch Evaluation and Promotion of Health Research—and the European Regional Development Fund (ERDF-FEDER). Dr. Demurtas received a honorary consultation from Bayer. Dr Stubbs is supported by Health Education England and the National Institute for Health Research HEE/ NIHR ICA Programme Clinical Lectureship (ICA-CL-2017-03-001). BS is partly supported by the National Institute for Health Research (NIHR) Collaboration for Leadership in Applied Health Research and Care South London at King’s College Hospital NHS Foundation Trust. The views expressed in this publication are those of the author(s) and not necessarily those of the NHS, the National Institute for Health Research or the Department of Health and Social Care. Dr Firth is supported by a Blackmores Institute Fellowship. The other authors declare no conflict of interest with this work.